François D’Haene is a trail ultrarunning machine, and his first major race of 2015 is The North Face 100k-Australia. In this interview, hear what François thinks of his second-ever trip to Australia, how this race fits into his training for the Western States 100, and the foot niggle that’s been bothering him for the last week or so. Find out more about who’s racing with our in-depth race preview. 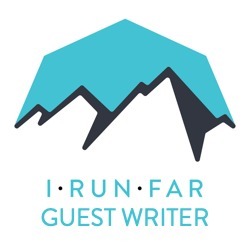 iRunFar: Hi, I’m Kerry Sutter for iRunFar. I’m here with Francois D’Haene ahead of The North Face 100k in Australia. Good to meet you, Francois. iRunFar: How are you feeling? You’re okay? D’Haene: Yes, I’m really happy to be here—nice weather, nice country, nice place. iRunFar: This isn’t your first time in Australia? You’ve been out before for this race? D’Haene: Yes, I was here in 2011. I did this race and came to this country just one time. That run was a really nice memory for me. I ran lots with Kilian [Jornet] and Ryan Sandes. Yes, it was my first long race outside of France, and it is a nice memory. iRunFar: You would have had some exposure to the terrain and the people in Australia. Your thoughts of those experiences? D’Haene: Yes, it’s a very different race. You need to have a big bag with you and a lot of mandatory gear. It’s really special. I don’t need to have it big because with my sponsor we work a lot on light material and everything. Even with that, it’s a big, big backpack. Also as 100k, it’s very fast for 100k and it’s a big backpack. It’s funny to race with this big backpack. iRunFar: Fast for you, aye? Not fast for a lot of people. D’Haene: Yeah, I remember it was less than 10 hours. I thought, Wow, it’s pretty fast. Now the race has changed a little bit. There are more climbs. Since it’s a little bit more climbs, maybe it will be a bit longer. iRunFar: Yes, so this is certainly shaping up to be a really big battle at the front of the field. There are a lot of talented guys in this race—9:15 sort of course time, do you think? Maybe a shot at the record on Saturday? D’Haene: Records are meant to be broken, but I think people don’t run after the record. Maybe they just run to win the race or have a good race. In ultra distance I’m not sure it’s the best thing to always be thinking to try to break the record. I never think of that. I don’t run after the record. Sometimes it’s happened, but it’s not my final work. I think tomorrow it will be the same. Tomorrow, it’s my first race of the season. I’m just on my way to train for Western States. For me this race is the perfect moment to run 100k. It’s less long and, I think, nearly the same elevation gain and the same profile. For me it’s a big piece of nice training. iRunFar: So the training has been good leading up to this? You’re feeling okay? D’Haene: Since the beginning of the week I have a pain on my foot. I’m not sure what has happened. I’m not thinking it’s a big pain. Maybe I just need a good two or three days of rest. But with all the travel, I just got back from the U.S. for reconnaissance on the trail of Western States. I ran 100 miles in three days just to prepare for the run. Maybe it’s a lot and maybe I need rest, but it’s my way to train and I need to be motivated for Western States. It’s the only moment I can organize a race. Also, it was important for me to go there. Maybe for tomorrow I hope my foot can be okay, but it’s a stupid pain. I will see how it happens. iRunFar: When you’re not training and racing and traveling around the world, you’re a father to two young children and also a wine maker which is quite interesting. I know Australians are very passionate about wines, as well. I thought maybe you could help me with something. If you could just hold that. This is a really good bit of Australian cuisine. This is a fine draw. Maybe you could give us a few tasting notes on this. This is a Shiraz which you might call Syrah. iRunFar: Yes, one of the better wines. D’Haene: You have some time to taste the wine? iRunFar: None for me actually, no, I’m a bit too much of an athlete. iRunFar: Yeah, plenty of flavor. D’Haene: Is this the cellar just down the road? iRunFar: Yes, the cellar just down the road. Excellent. All the best, Francois. Really good talking to you. D’Haene: All the best to all the runners. iRunFar: Have a good race. D’Haene: Thanks for having me.